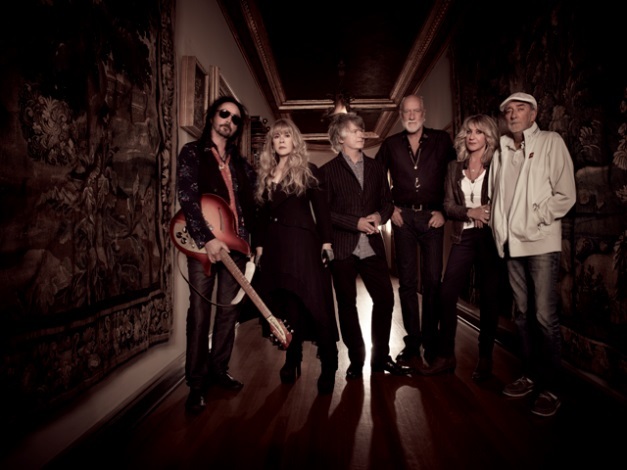 The outrage surrounding developments with Fleetwood Mac over the last year has been palpable, but don’t let that cheat you out of enjoying what this legendary band still has to offer. It has all happened before, in fact. Sort of. The tour for 1987’s Tango in the Night included guitarists Rick Vito and Billy Burnette in Lindsey Buckingham’s stead, but – talented as those two are – they can’t hold a candle to new Fleetwood Mac members Mike Campbell and Neil Finn. Rather than hiring a pair of no-name session players, the Mac chose to invite two seasoned vets into their fold, thus allowing the band’s overall personality to morph a bit… and sometimes, change is good. Campbell has spent the bulk of his career as the late Tom Petty’s right-hand-man in The Heartbreakers, an outfit with a long history of camaraderie with Stevie Nicks (they backed her on portions of her solo debut, 1981’s Bella Donna, and have individually appeared on subsequent releases). Campbell often co-wrote with Petty and is credited as co-producer on quite a few of his albums. Known for his off-the-cuff approach to live performances, Campbell prefers to improvise rather than give in to the canned showboating that’s become more the norm for large scale arena bands. The raw tone of his guitar work was a large part of what kept Petty’s gigs exciting, and it’s likely a riveting curveball for the otherwise tightly rehearsed Fleetwood Mac. Neil Finn, on the other hand, is a bit more of an underdog — but no less of an asset to the current lineup. As the founder of Crowded House and member of the more new-wave-y Split Enz prior (with his brother Tim), Finn’s a firm-footed singer songwriter that’s used to functioning in a band dynamic. A huge star in his New Zealand homeland, he’s managed to keep multiple irons in the fire — recording and touring with his brother Tim as The Finn Brothers and reforming Crowded House in 2006 after a ten year hiatus — while also releasing three critically lauded solo albums and working with both of his sons on various projects. Say what you will about the drama surrounding Fleetwood Mac, but keep in mind that interpersonal controversy and tension has often been what’s fueled their best work. The set list for these shows manages to touch all bases and might even include a couple surprise covers when they pull into the Key BankCenter on Tuesday, March 26 at 8:00 p.m. Tickets run $65-$195.